"Content is often given very less attention but words have the power to make or break businesses." I believe in working towards greater goal with my clients rather than just delivering a product. It's a two way street and communication is the key to find any solution. Together we can create useful content with minimum rework. I am MBA (Finance/Marketing) graduate with 6+ years of overall experience in writing and financial analysis. I have experience in writing eBooks, articles and blogs on variety of subjects like lifestyle, finance, healthcare etc. I am also proficient in copy writing and technical writing. You can reach out to me if you are looking for a professional writer with experience in writing articles, eBooks, blogs, website content, technical documents and all things writing. 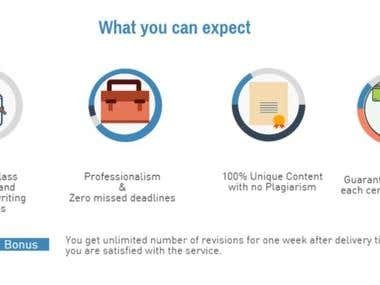 The work delivered will be 100% proofread and error free with no plagiarism. I also have a team of talented writers who are willing to take on big projects.